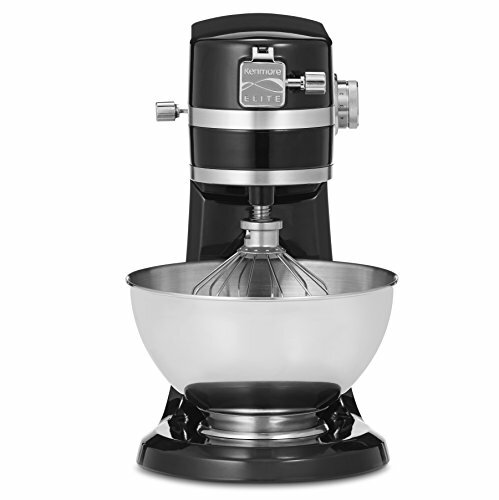 Craft savory sauces and delicious desserts with the Kenmore 5 quart Stand Mixer. Mix it, fold it, whip it, the Kenmore Mixer helps you get more cooking and baking done in less time without all the tedious stirring. 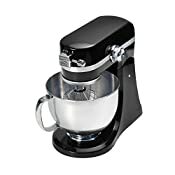 Featuring a combination of unique rotating motions, a versatile selection of tools and a view unlike any other mixer, this counter top necessity will help you whip up countless trays of cookies, plates of appetizers and the kind of sauces that will have everyone wondering just how you do it. 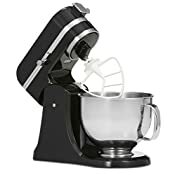 Propelled by a 400 watt electric motor, the Kenmore stand mixer features an interchangeable dough hook, wire whip and flat beater, all designed to help you create any kind of delicious mixture that you can imagine. 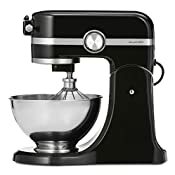 Whether you’re mixing thick multigrain dough, spinning the batter for a tray of chewy fudge brownies or whipping a frothy blend of sugar and cream into a decadent frosting, this mixer gives you the versatility to change speeds, functions and flavors at a moment's notice. With variable speeds and a SensiClick control, it's easy to find the right velocity for what you’re prepping while the Illumalight LED light mounted above the stainless steel mixing bowl give you a clear view at what is going on inside. No more stopping and tilting the machine back to get a look at whether your dough, batter, sauce or cream is fully mixed, just take a peek and see for yourself. Featuring a host of dishwasher-safe parts, each of the mixing tools and bowls cleans easily in minutes, while the body and motor housing clean with the simple wipe of a cloth. The perfect addition to any busy household, the Kenmore Stand Mixer delivers high performance mixing to a variety of baked goods and entrees and cleans up simply every time. 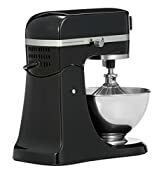 Try it in your kitchen and see how easy it can be to create tempting treats and decadent desserts when you have the right mixer for the job.